International Journal of Research in Health Sciences,2015,3,1,62-65. 1-Dr.Vinay Marulasiddappa, MD, FRCA, Associate Professor, Department of Anaesthesia, Bangalore Medical College and Research Institute, Bengaluru 560002, INDIA. 2-Dr. Raghavendra, B.S, MD, Assistant Professor, Department of Anaesthesia, Bangalore Medical College and Research Institute, Bengaluru 560002, INDIA. The anaesthetic management of patients undergoing pituitary surgery requires a thorough understanding of the various neuroendocrine manifestations of pituitary tumours. Pituitary giants pose several challenges to the anesthetists, neurosurgeons, endocrinologists and intensivists, mandating a careful, coordinated multidisciplinary approach for a successful surgical outcome. An emphasis is required on a thorough preoperative evaluation of airway, neurological and endocrine status so as to formulate a suitable perioperative management plan which should include practical considerations in the management of these huge patients. Endoscopic transsphenoidal approach to removal of pituitary tumours is being increasingly used now due to its benefits such as increased exposure of the pituitary gland, the tumour, surrounding neurovascular structures, combined with the absence of brain retraction and cranial nerve dissection. 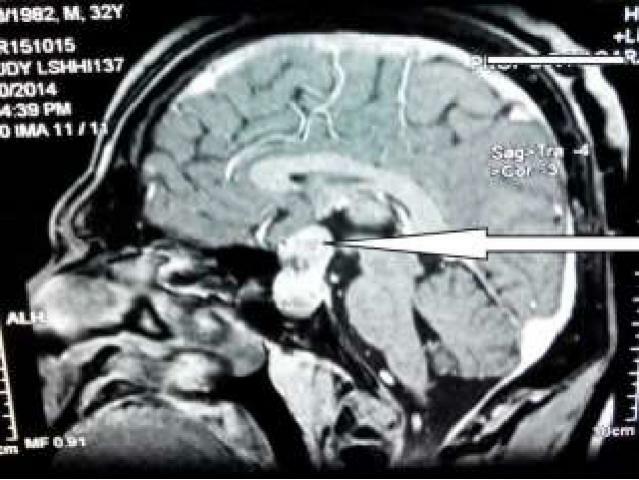 We present a case of anaesthetic management of a patient with extreme gigantism undergoing endoscopic transsphenoidal removal of pituitary adenoma.